ONE reason I admire His Holiness the Dalai Lama is that he summed up his religion in a single word. Tibetan monks at monasteries memorize long sections of text. As part of their training they tradition they practice the art of debating. Yet a single word summary? 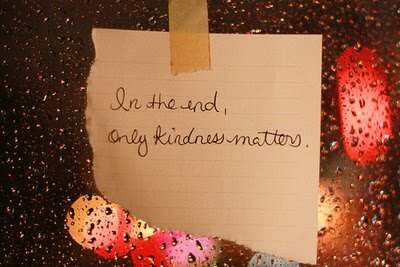 The Dalai Lama says “My religion is kindness.” You can carry that with you. H.P. Blavatsky’s works occupy a full bookshelf wide. How can one select a single passage? For myself, I would pick a line from the Voice of the Silence. There she writes “Compassion is the Law of Laws.” This is suitable for engraving on one’s heart. In only six words it can provide the basic compass for guiding us through life.